What is this little frog up too? Animals can be a good source of material for poetry especially if you get out and see them in person. 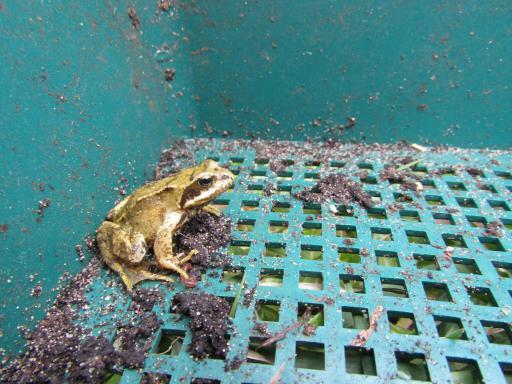 This little fellow was found by a seven year old on an allotment but is it an ordinary frog or something magical? Try and imagine what the frog would say if it could talk to you. Look at the picture for a few minutes and then thinking about what it’s like to be a little frog try writing down what the frog does in a typical day.